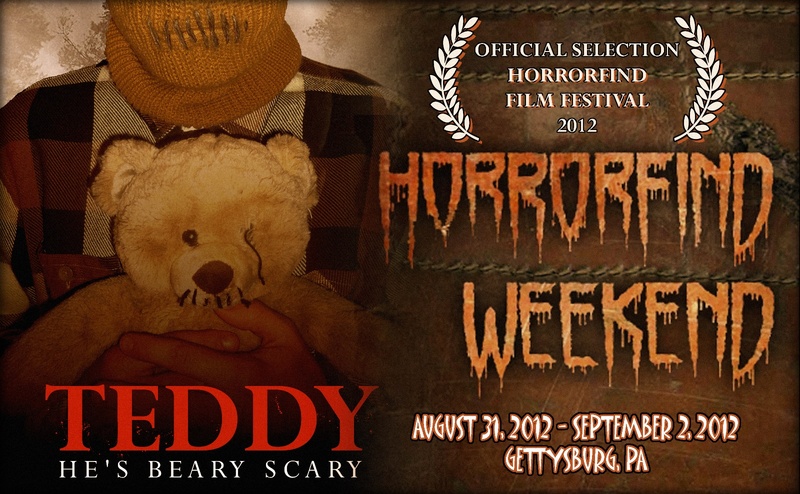 This weekend TEDDY is going to be slashing up Horrorfind Weekend as TEDDY takes over Pennsylvania. Are you going to Horrorfind Weekend? TEDDY will be screening this Saturday September 1st at 4:40PM. Tickets are available at the door for a day pass of $25 or a weekend pass for only $45. Support independent horror and make sure to check it out. For more details on the film festival/horror convention simply click on the link below.